Thank you for joining us for the Gift It Challenge. We hope you will all join us again this week too. We will be back soon with the name of the lucky winner of the $50 Voucher. Yes, that’s right, it’s your FAVORITE challenge this week! The Design Team is showcasing Spellbinders Products. You don’t have to use them for the challenge but if you have them we would love to see them used. 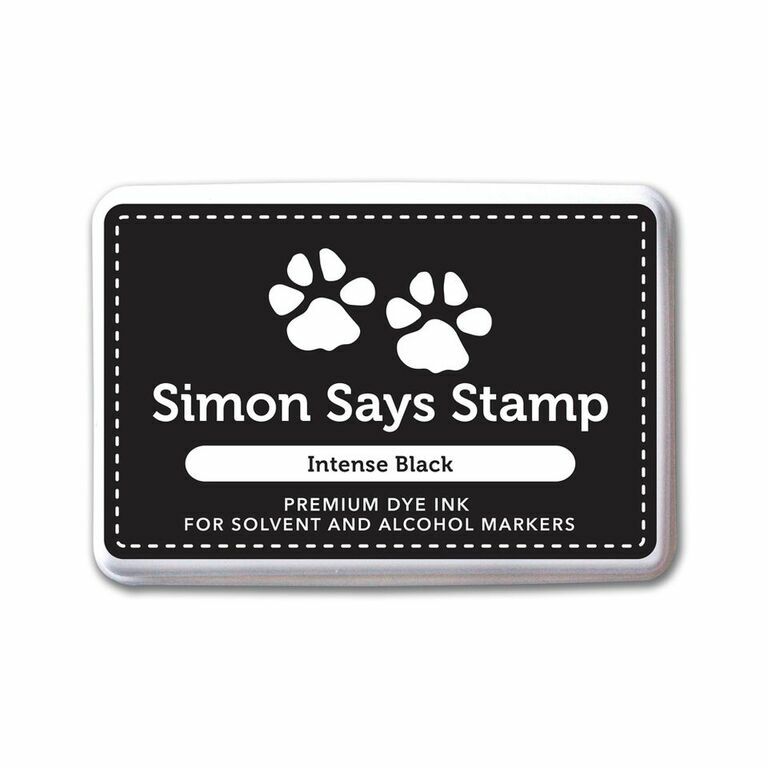 As always Simon Says Stamp will be giving away $50 voucher to shop at the fabulous Simon Says Stamp Store! You KNOW you want to win that goodness, ladies and gentlemen! I love Spellbinders dies. So for my cards (yes, CARDS!) 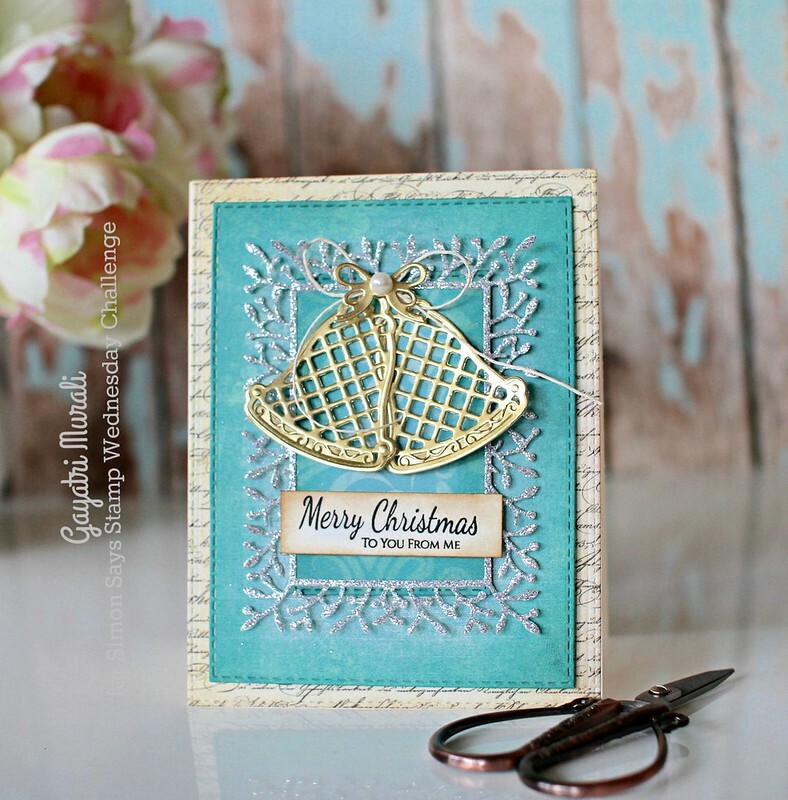 I have used Spellbinders Lattice Ornaments Dies. Since I was making Christmas cards, I decided I will make multiples. I made fours cards. Two using traditional Christmas colours and two non Christmas colours. I shall start with non Christmas coloured cards first. I am share two photos of each card. One head shot and the other flat from the top. So this post is photo heavy! I used some of my old pattern papers from various brands to combine colours and patterns. I die cut them using various stitched rectangle dies, sponged inks on the edges and layered them with foam adhesives. 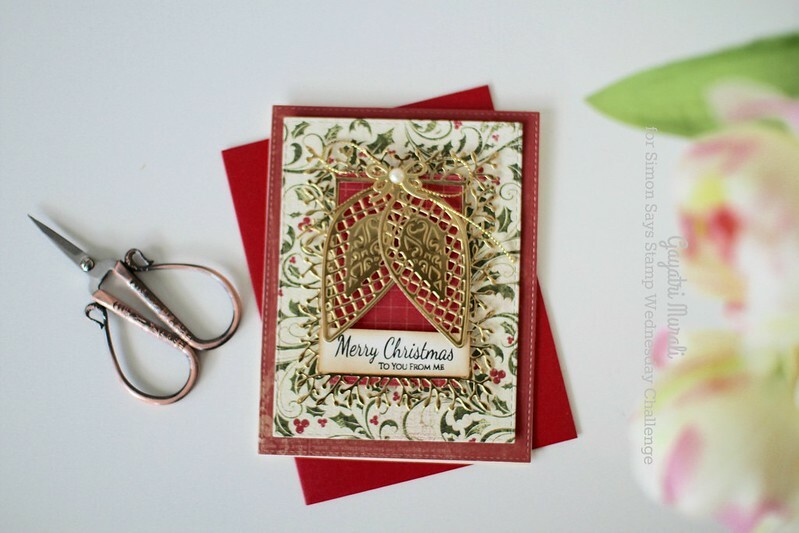 The gold frame is die cut using Simon Says Stamp Woodland Rectangular Frame die. This is my favourite die to use for Christmas card. 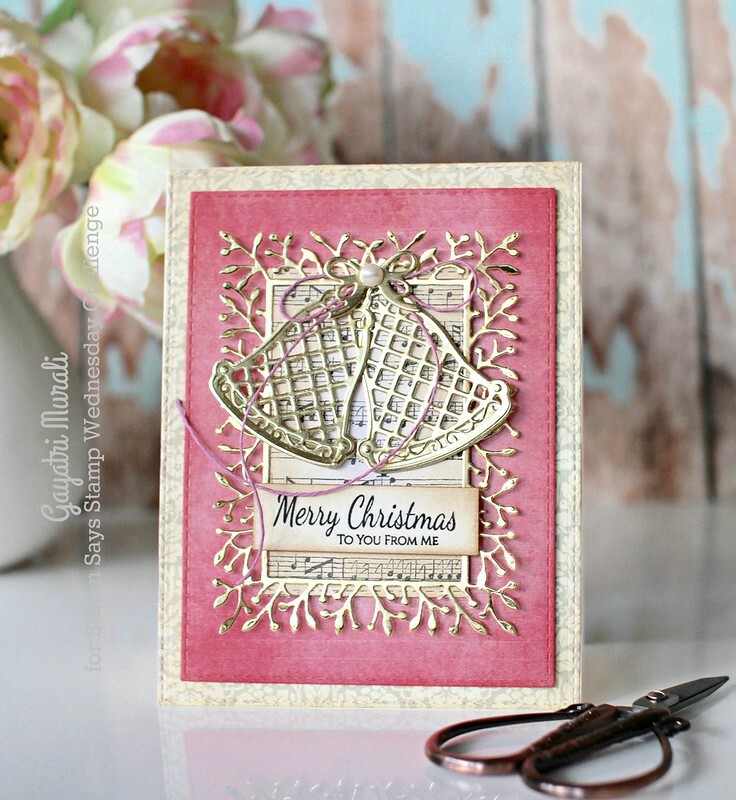 I die cut the bells and bow from Spellbinders Lattice Ornaments die set using gold mirror cardstock and layered glued with a pink twine bow behind it. 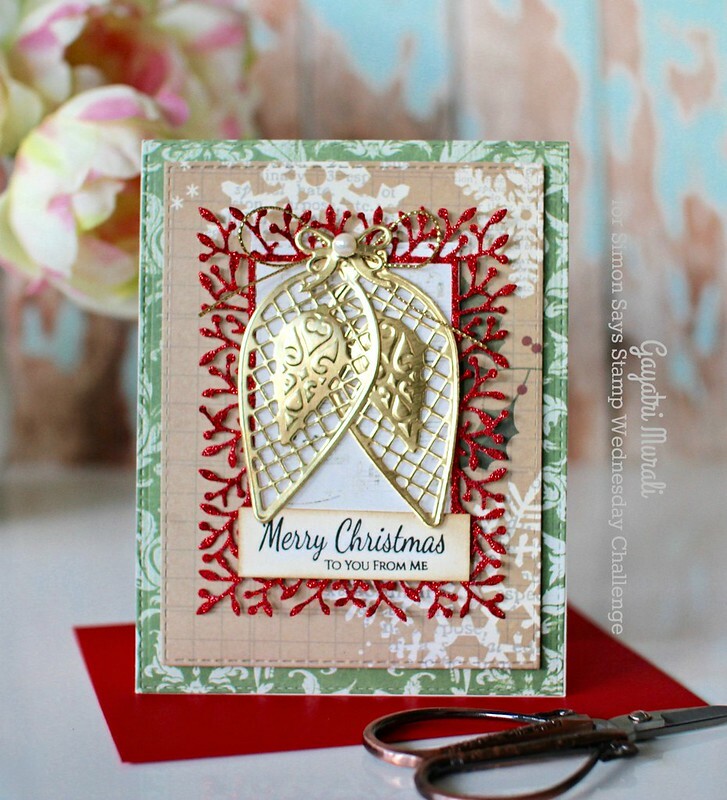 The sentiment is from Retro Christmas stamp set from Simon Says Stamp. I added a touch of pearl on the bow. 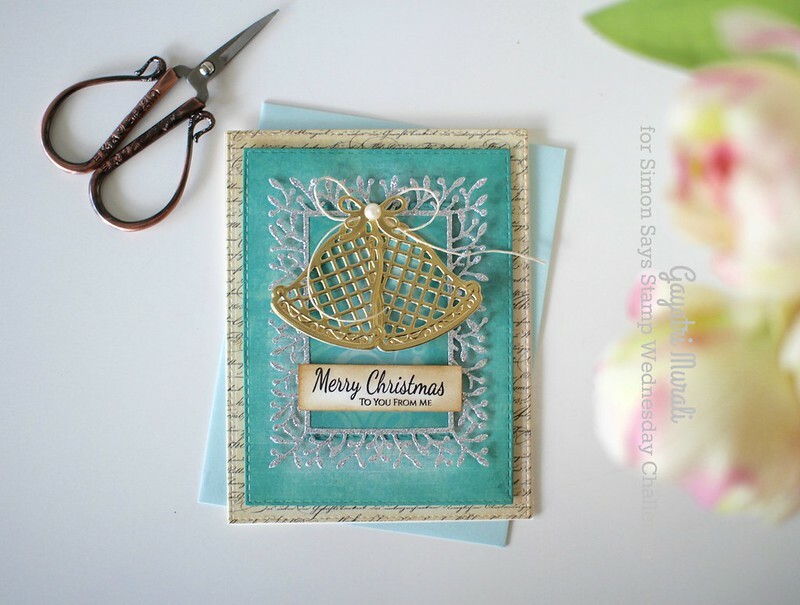 Here are my two traditional Christmas cards using the other ornament from the Spellbinders Lattice Ornament die set. For these two cards, the process of creating and layout is the same as the previous cards. Only difference is use of traditional Christmas pattern papers and different ornament. I did not sponge the edges of the panels. 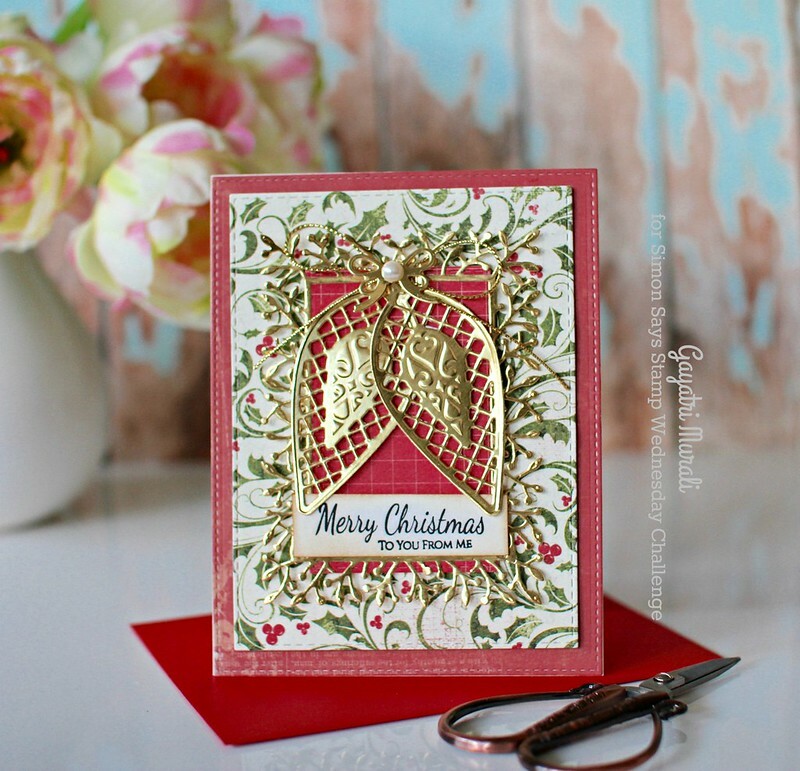 I added gold thread and red glitter frame on one of the cards. I love all the four cards. No favourites for me 🙂 And I also love this style of cards especially layering and using some of my old pattern papers in the stash. 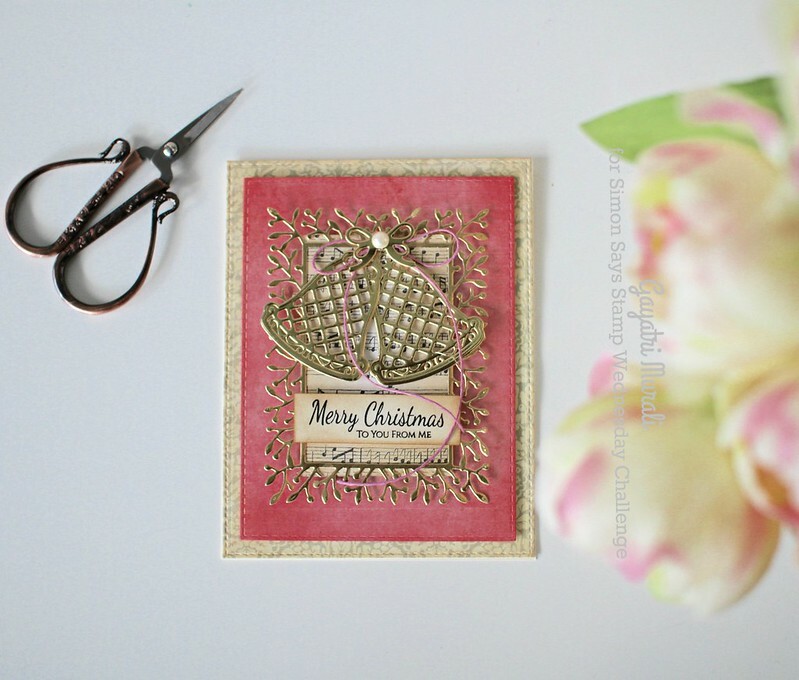 I will be making more of this style of cards this year I think. Hope you like them and are inspired. Gorgeous cards Gayatri 🙂 Love all the gold elements on top of the pp! 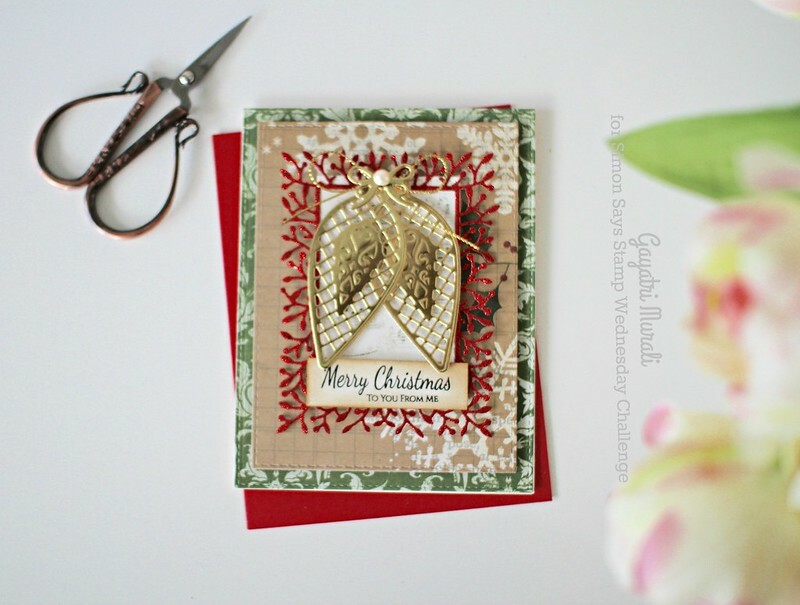 stunning cards, I really luv the gold and silver glittery one the most…super! hope you have a great weekend! Totally stunning Gayatri. What beautiful cards.